Everybody loves potatoes, but on a low carb diet, they are very demonized. What most people don’t realize is that even though they do contain a lot of carbs, they also contain a plethora of good stuff! Vitamin B6, B3, C, Potassium, Fiber…the list goes on. What I’m trying to say is that while it may not be a good idea to eat a potato with every meal of the day, there is absolutely nothing wrong with the occasional “indulgence”. Chirpy is all about having whole, natural ingredients and that’s exactly what potatoes are, right? So, let’s talk about these mashed potatoes. One fine Saturday morning, a long time ago, my mom decided to try something fancy for breakfast. She broke out a dusty old cookbook and found a recipe for carrot hashbrowns. After lots of dicing, chopping, and cooking, it was a complete failure, but my sister and I still fell in love with the combination of potato and carrot. I immediately thought about how I would just boil some carrots and potatoes together, mash them up and call it a day. That’s exactly what I did the very next morning – and boy was I right. It became a staple dish in my life right at that moment. 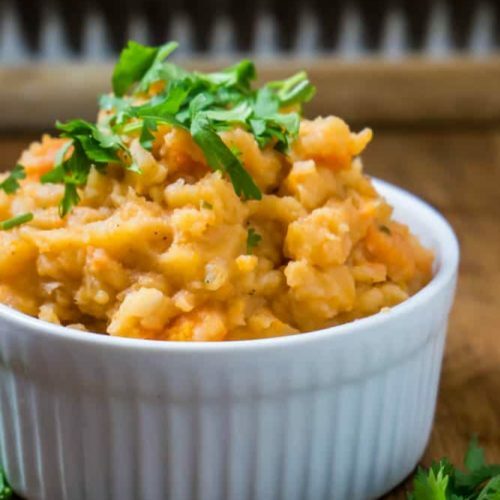 We loved it so much that when my sister and I had our wisdom teeth removed in 2013, and couldn’t chew food, we lived on Carrot Mashed Potatoes for a week. Yep. Not because we HAD to, but because we WANTED to (maybe a little bit because we had to). Anyway, the point is – mushy carroty potatoes are not baby food. It’s an awesome way to spruce up your regular, boring mashed potatoes by adding lots of color and tons of flavor. Yay! 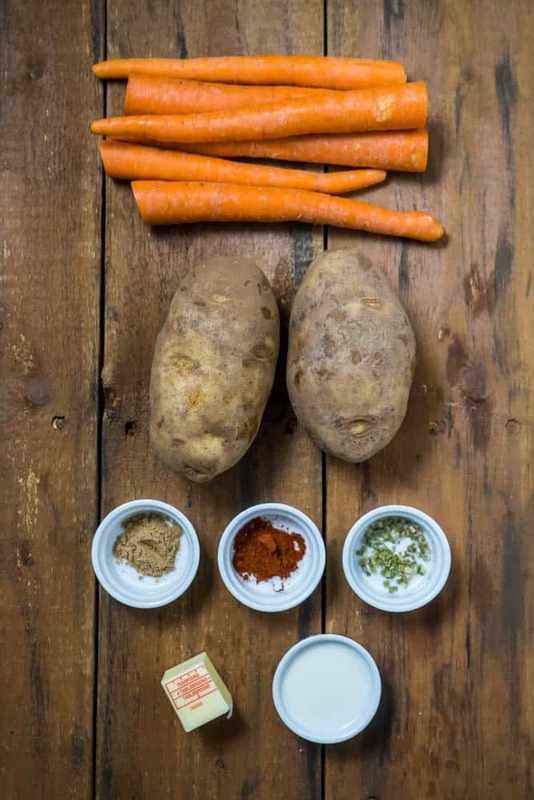 Put the potatoes and carrots in a pot and cover with cold water. Bring to the boil and cook for approximately 15 - 20 minutes, until the carrots and potatoes are soft. Drain the water and add the spices, butter and cream. Mash with a fork or potato masher. 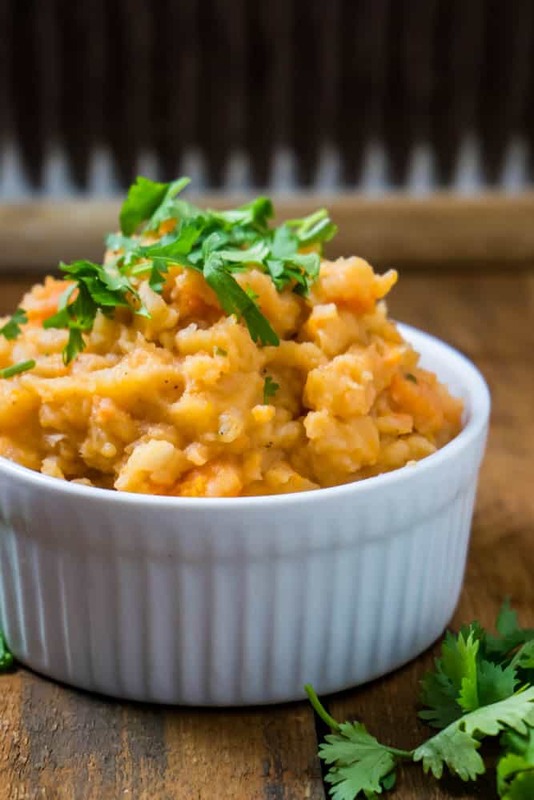 Carrot Mashed Potatoes – Pin It! 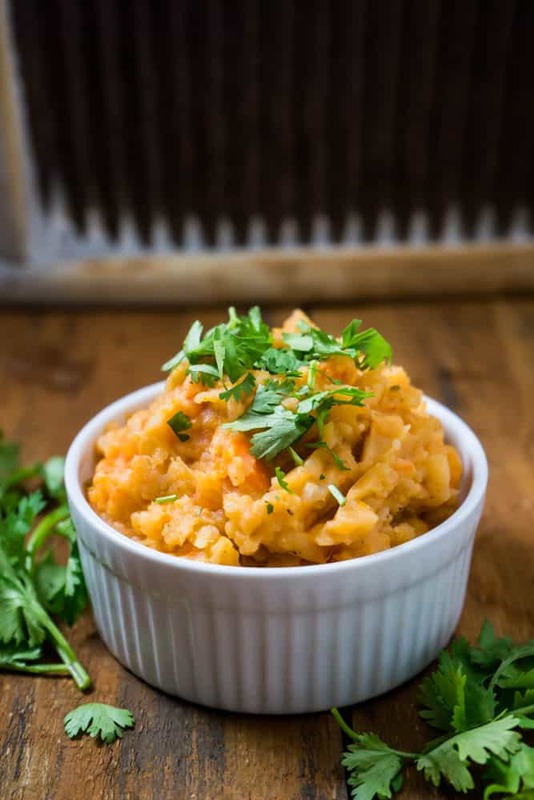 These sound so good…I’m imagining they taste quite like mashed sweet potatoes. Am I wrong? This is the dumbest name for a food blog I’ve ever heard of.